If you are unfamiliar with Franklin, MA, the most important thing you should know is that this community of 32,000 on Interstate 495 in suburban Massachusetts offers residents a delightful “small town America” ambiance with superior schools, quality shopping, easy access to Greater Boston, Providence and Worcester, along with a wonderfully broad array of cultural, recreational and entertainment resources. 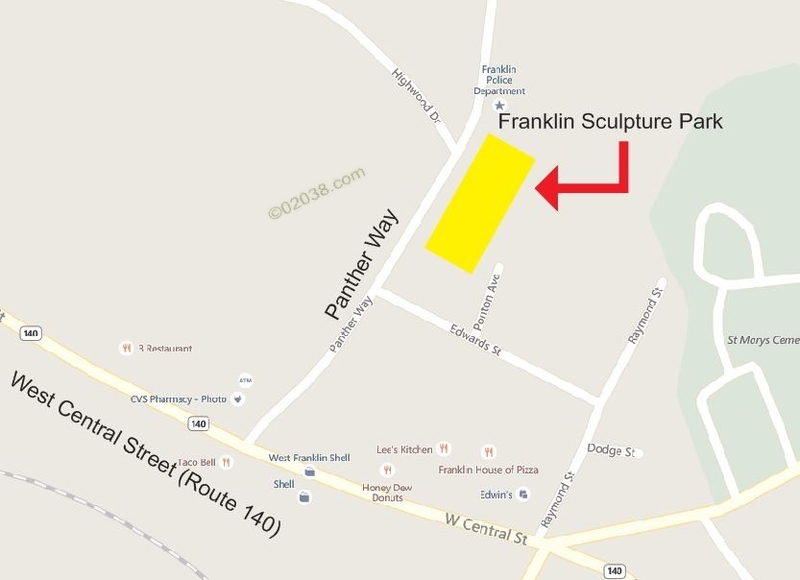 Franklin’s newest outdoor cultural asset is the Sculpture Park located on Panther Way near the Franklin Police Headquarters. The Park was built on the site of the former town swimming pool. 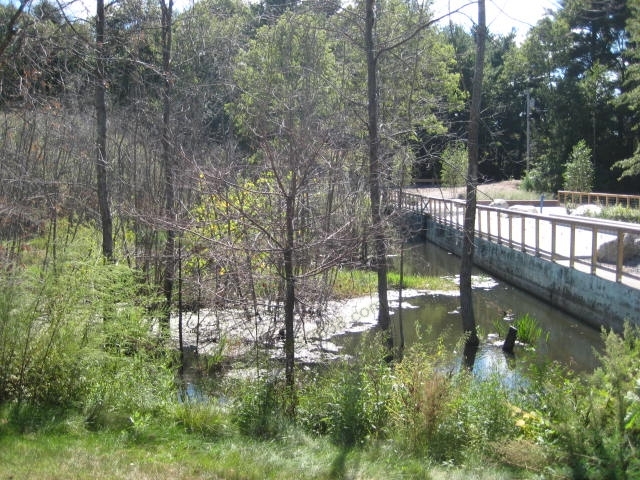 Old retaining walls and dams remain, creating water habitats for wildlife and a peaceful environment for human visitors. 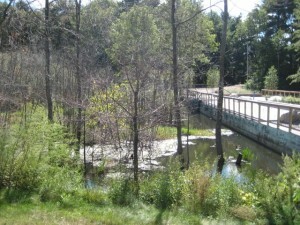 There are picnic tables and an attractive bridge that leads to the art exhibits. Franklin is fortunate to have a readily accessible spot to take in art and to see wildlife enjoying the resource as well! The video above shows what you’ll find to enjoy at the Franklin Sculpture Park. 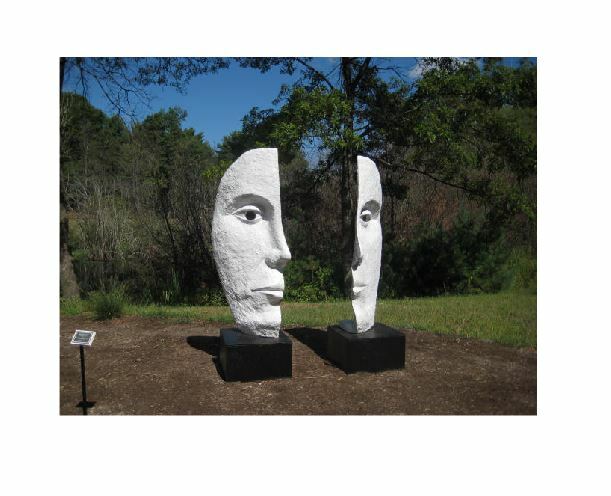 A dance exhibition was recently performed at the Franklin Sculpture Park as part of the Franklin Cultural Festival. In the above video you’ll see the talents of students at the Palladino School of Dance at Dean College in Franklin, MA. As described on Dean College’s website, the Palladino School of Dance is recognized as one of the top dance programs in New England, offering conservatory-level instruction in ballet, jazz, modern, hip hop and tap dancing. The Palladino School and Dean College are just a part of the vibrant arts and culture scene in Franklin, Massachusetts. Building on Franklin cultural resources, the town is in the process of establishing a Franklin Cultural District. The District will further cement Franklin as a “destination community” for home buyers seeking a great place to live in the suburbs of Greater Boston!